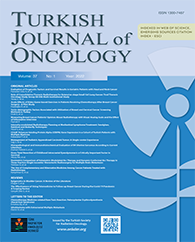 The aim of the present study was to determine if volumetric modulated arc therapy (VMAT) provided superior dose distribution than intensity-modulated radiotherapy (step-and-shoot; ssIMRT) based on target volume coverage and organs at risk (OARs) doses in postoperative radiotherapy for pancreatic cancer patients. New 4-dimensional computed tomography plans for 10 pancreatic cancer patients were created. The ssIMRT plans had 6 coplanar fields (330-0-30-60-90°) and VMAT plans were generated with 2 268-92° arcs. VMAT plans revealed better overall sparing of right kidney (volume receiving 15% of prescribed dose [V15]: 28.3% vs 46.9%, p=0.012; V20: 16.1% vs 27.6%, p=0.007; V25: 8.6% vs 15.2%, p=0.005; mean dose 1549 centigray [cGy] vs 1987 cGy, p=0.005). VMAT delivered similar isodose distribution (planning target volume [PTV] mean dose: 5164 vs 5183 cGy, PTV max: 5526 cGy vs 5505 cGy; p=0.541) with significantly fewer monitor units (MU) (MU: 468 vs 527; p=0.032) in comparison with ssIMRT. VMAT was also found to be superior for V30 intestinal dose, but mean dose was similar (1963 cGy vs 2032 cGy; p=0.05).